I’d like to think that in this issue, we have something for everyone – be you a collector of medieval swords, a budget buyer, someone looking for something really unique (and 100% authentic), a Katana enthusiast, a connoisseur of Chinese blades – or someone who loves to hack stuff up in the backyard – the latest issue of the digest has all this and more! So no need for a lengthy pre-amble, why not read it for yourself and see! February always seems to go super fast – sure it’s only 2-3 days shorter than your average month, but for some reason those missing 2-3 days make it seem to just rocket on by. And at first when I was writing this issue of the digest I was thinking “I have no idea how I will get it finished in time this month” as I run to a VERY tight schedule (as some of you will know, in addition to running SBG I also study Japanese full time in Japan, so time – especially the extra time it takes to write the digest – is a rare and precious commodity). However, this issue seemed to write itself – and it is perhaps one of the broadest issues of the digest to date, touching on everything from high end collectors pieces to antiques and bargain buys, as I said in the preamble – I really do think there is something for everyone in this issue. While as always, some big changes I had planned to take place in February did not quite eventuate yet (as with all big changes, they are always unforseen complications and delays that throw a spanner in the works) some of the biggest ones are getting ready to burst to the surface, and I hope truly revolutionize just how helpful to the sword community SBG can be. In a way, it’s kind of lucky that they did NOT eventuate or this issue of the digest may have ended up so darned big that it would jam up your inbox! So while I have said it before, stay tuned guys – we have some really exciting times ahead – but for now, let’s kick off our journey with something for lovers of medieval swords with a brand new direction for Windlass Steelcrafts. We all know that the last few years have seen the market for medieval swords take some great strides forward, and despite the difficult economy. 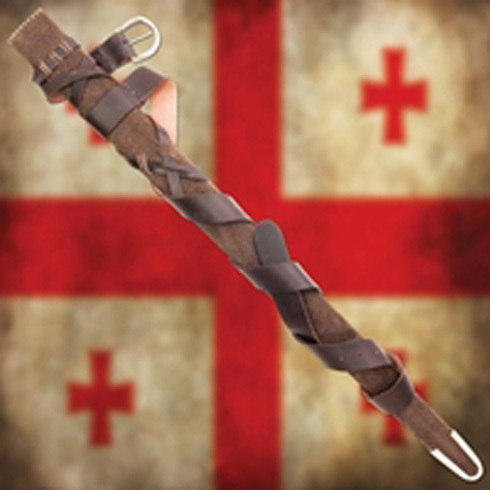 Naturally enough, these increases in quality have seen corresponding increases in price – but it seems that Windlass Steelcrafts might be about to change a lot of that, and are making some moves in a very interesting direction with their latest medieval design – the crusader inspired Tancred Sword (pictured below). What I like about this sword is not just the design, but the scabbard – it’s very well finished and comes with frog (belt suspension system, not the green tree, Kermit variety) and sword belt – making it both wearable but also extremely attractive when displayed. 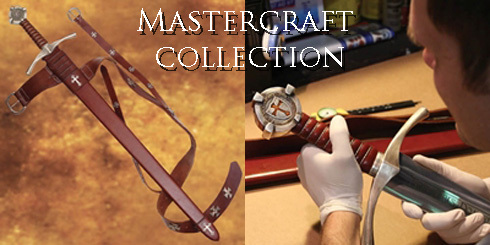 It’s not the first time they have offered this – their stunning Mastercraft collection had the same principle, but is priced at $375. However this particular offering, while it doesn’t have ALL the thrills and additions of the Mastercraft collection is priced to sell at an extremely low $265 – ($238.50 when you use the 10% sbg discount coupon code: sbg-web click here for more information on the discount) which is an unheard of price for a sword of this quality! 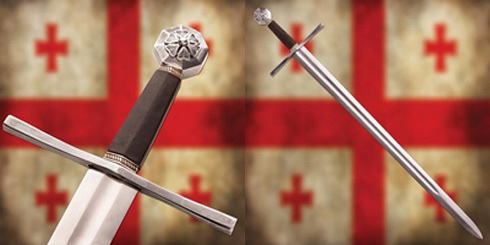 It also appears that since a scabbard is something of a sticking point, if you don’t care about where the point is stuck into, their other new offering – the King Arthur inspired Pendragon Sword (pictured right) - does away with a scabbard entirely – and drops the price down to $160 ($144 with the SBG discount) – not bad for a gold plated hilt and top quality, one handed Windlass blade! It seems with these two offerings they will let the market decide just how important a good scabbard is, or isn’t, and at these prices either way you go will save some $$$ (the only thing I would really do differently myself is to add the OPTION of a scabbard for an additional price, but I’m pleased to see them experimenting anyway – the more options and the more flexibility the better I say). You can check out the premiere video below – though I can’t really recommend the targets the sword is subjected too (full wine bottles? And a windshield? Yeah, don’t try this at home..). Seems like fun, I wish him luck and hope to see the series grow and prosper! ANTIQUE SWORDS FOR UNDER $300? 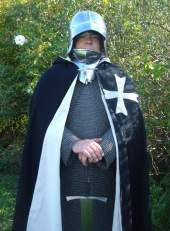 Auctions Imperial are holding their annual antique arms and armour auction on the 16th of March this year at the Crowne Plaza Hotel in Timonium, Maryland and if you can’t attend you can place bids via telephone or the interwebz. It’s a bit old fashioned, and not quite ebay, but many of the items up for offer are priced to sell (plus of course they have some serious treasures in the thousands of dollars too). For example, how about this Chinese Dao in excavated condition that is expected to sell for $100 to $150? Or what about a Sudanese Kaskara sword from the 1880s expected to sell for around the same price? 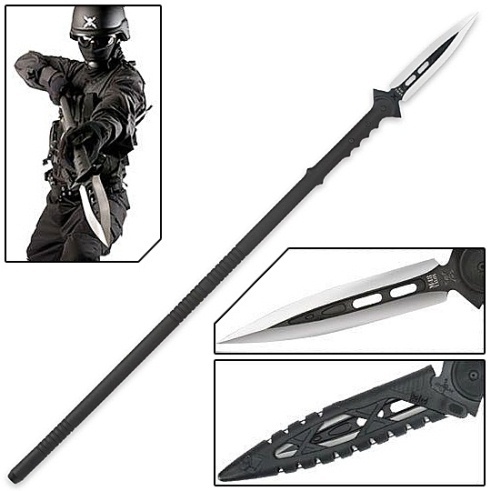 Combining mans oldest (and, dare I say it, most popular) weapon with cutting edge materials the Anti-Personnel Tactical Riot Spear w/ Sheath at Trueswords is actually not a bad idea for keeping zombies at bay.. Yes, the spear tip is stainless steel – but as it is effectively a knife on a stick, this does not really present a problem as far as durability goes and is actually a viable team zombie defence weapon (pin them back and someone else can finish them off with a sword). Definitely a nice addition to anyone collecting tactical weapons – it’s not a sword, but I think it’s kind of cool (available here at trueswords for $69.99). 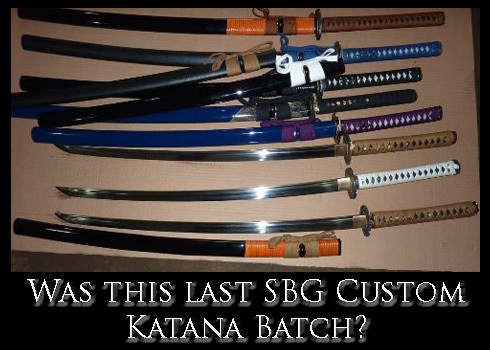 SBG CUSTOM KATANA LINE – COMING TO AN END? After 5+ years offering the SBG custom Katana series, recent difficulties with production combined with rising costs may well spell the end of this exceptionally well received project.. The future is uncertain at this point, and we basically have three options – either raise the price and lower the number of commissions we accept per batch, create a new custom Katana series or just call it a day.. While the forum migration is still not official, I think you’ll find it’s running a lot smoother – at least smooth enough to bring back our regular best forum posts section. Well, it’s not the first time we have had this topic come up – page one of this long thread lists at least half a dozen others. But always worth a look just to be on the safe side..
What happens if you get stuck in the middle of the aforementioned zombie apocalypse and you don’t have a decent tactical sword, nor the money to buy one ‘out of the box’? 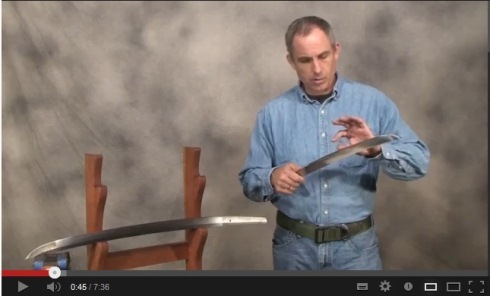 Here’s a simple way you can make your own out of Cold steel’s Gladius Machete. How do you roll them and how do you soak them? Are you doing it right? This video post takes a look. I had to post this one myself, but it appears that it is increasingly difficult for non-US based sword collectors to get their fix – but at least in this thread we explore a few other options. Most of us reading this collect swords, but some also collect antique fittings. 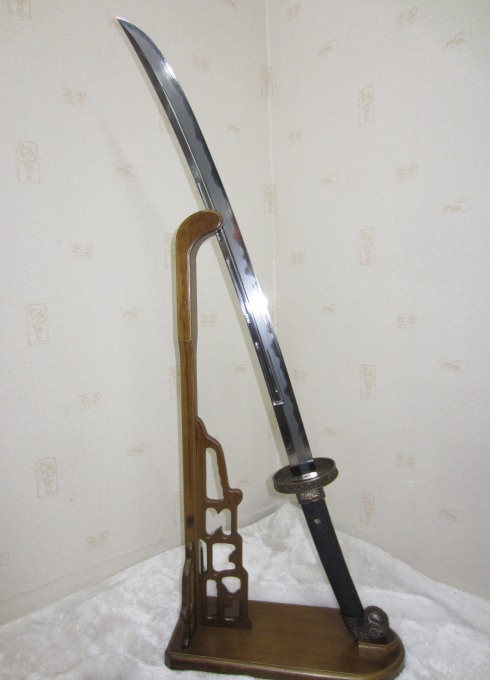 This great collection shows you why you might want to look into it yourself..
What is better, a real Nihonto (made in Japan) Katana made with Tamahagane steel and folded umpteen times to create thousands of microlayers, or a blade made from a slab of modern steel forged to shape? 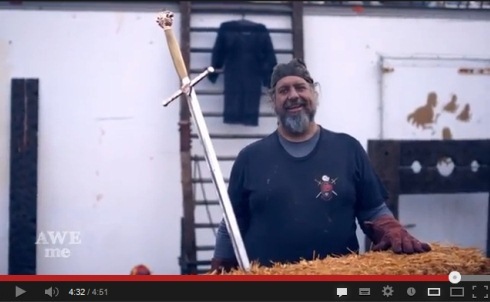 It’s an old question to be sure, but for what I feel is a definitive answer famed US sword smith Walter Sorrels has a few words to say on the subject. Some nice test cutting, sword making and tamahagane shots in there too! Or maybe even swords of the year…! The tricky part is, these haven’t been officially released yet – but lovers of Chinese swords in particular are in for a real treat.. Most of us know that the majority of swords these days are made in China (hey, most things are anyway – why should swords be any different?). But I have often thought, while China is somewhat infamous for copying other countries designs, there must be forges within China that retain the cultural heritage and tradition of master sword making with original Chinese designs. And in his travels back to China last month, my good friend and business associate Chris Scoggin from Ronin Katana uncovered some real treasures. “Two brothers, both masters, and both with national cultural heritage awards. The younger brother has designed swords for several blockbuster Chinese films as well as a few Hollywood films” and shows me some of the pictures, I know that we have to make this a reality..
Two brothers, two swords – a Jian and a Dao – and a new direction for Project X! Here are a couple of shots of the Dao. 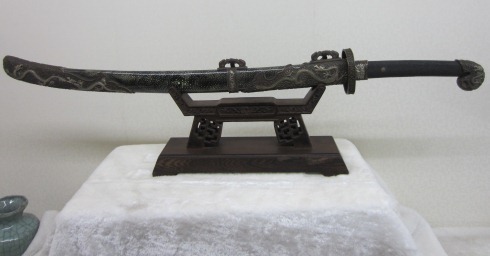 Now normally, if you wanted one of these masterpieces you would have to import it yourself from China, and the price on this sword starts at RMB15,000 – roughly US$2,500.. (plus import duties, shipping and a considerable amount of paperwork and redtape). But as these brothers want to open their products to the world, they are giving us a very special price discount – and like with our Soshu Kitae Project X Katana series, anyone who wants to get in on this special deal early can get an even larger discount – and will have them hand picked for the best quality. 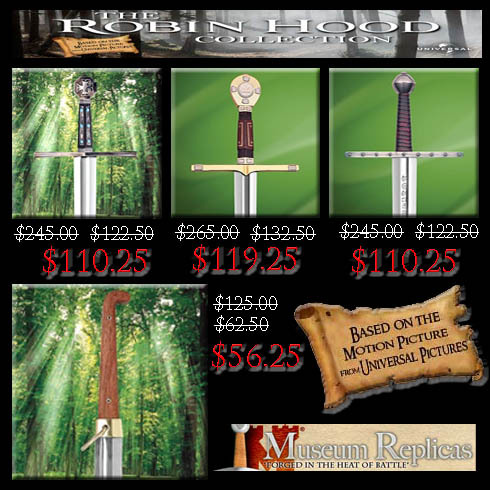 These swords have been intermittently on sale every now and again at MRL, but now that the official License is expiring the Robin Hood Swords are on final closeout and there are some serious bargains to be had. Prices are incredibly low on these fine swords – and go even lower with the SBG discount coupon code: sbg-web (or sbg-phone for phone orders – click here for more information on the discount). Seriously, once they are gone they are gone for good – so if you are looking for a bargain, look no further! Phew, what a big issue! I’m actually off to Iga again today, but this time with my Japanese language friends and classmates – should be fun – if I spot anything interesting I’ll be sure to report back to you guys next issue. Until then, stay safe and happy swordening to you all!